Today we will be a bit off topic with something delicious to share, just for fyi, in case you like to cook... or eat yummy food. 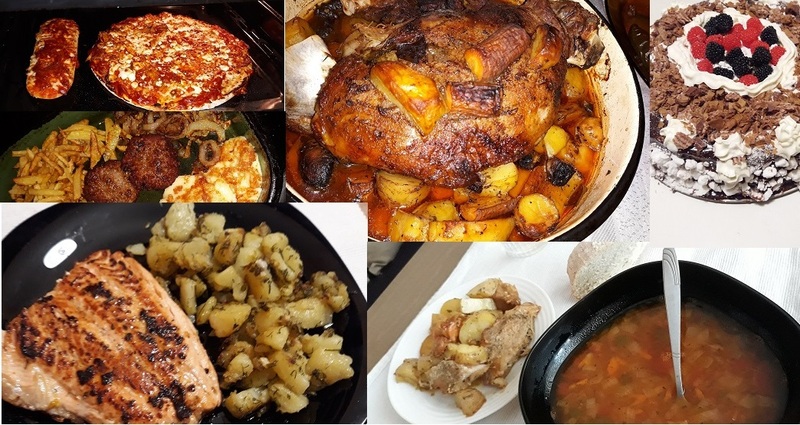 I am sharing with you few of the nice meals I have prepared recently with short explanation of what the meal is and how I made them. 1. Nice veggie soup and pork with potatoes. 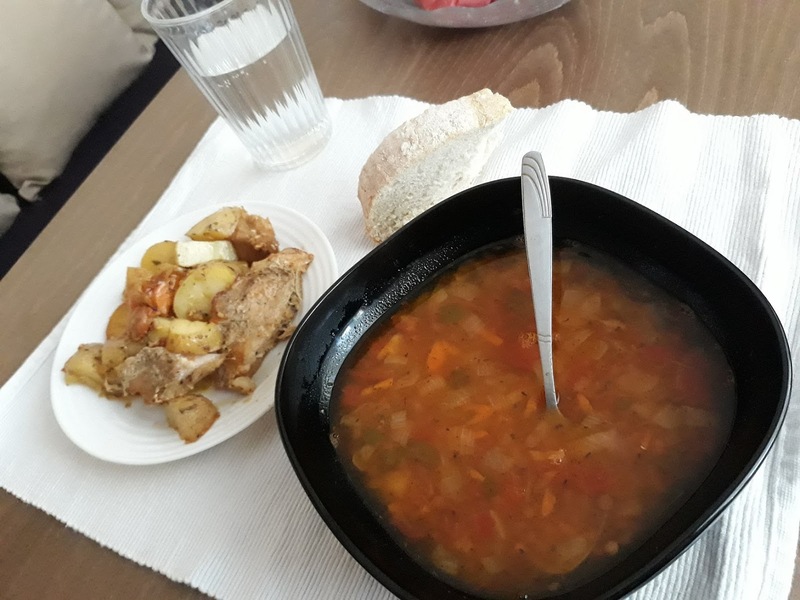 I like soups a lot and they are good for the stomach. Vegetable soups are my favorite so I make pretty good ones. 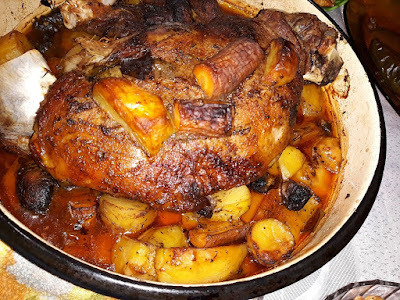 In addition to the soup you can see some pork with potatoes, another favorite meal of mine (trying to reduce meat though). 2. 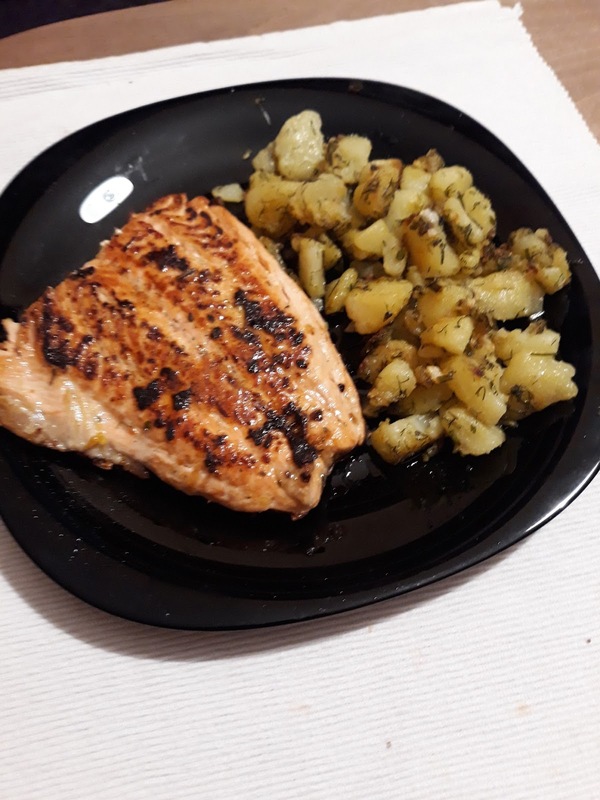 Salmon fish with potatoes and variety of spices. I used to eat a lot of tuna and salmon but I don't any more. As I mentioned I am trying to reduce meat from my diet and fish is part of this plan. Anyways, this salmon fish meal turned out really great, super super delicious. 3.Roasted chicken with potatoes and some carrots - that is something that we eat a lot. This particular dish was prepared pretty good and we really enjoyed it. 4. Baguette and pizza dinner - these were pre-made frozen pizza and baguette but with some customization (added cheese, processed tomatoes and spices) and 10 min in the oven they were yummy. 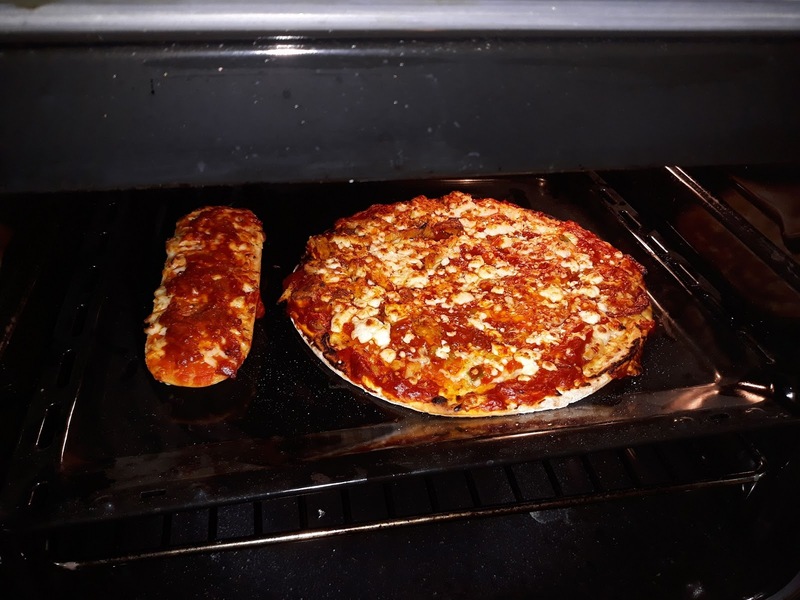 These were prepared thanks to our Electrolux EKC52550OX electric stove which accommodates a truly great oven. 5. 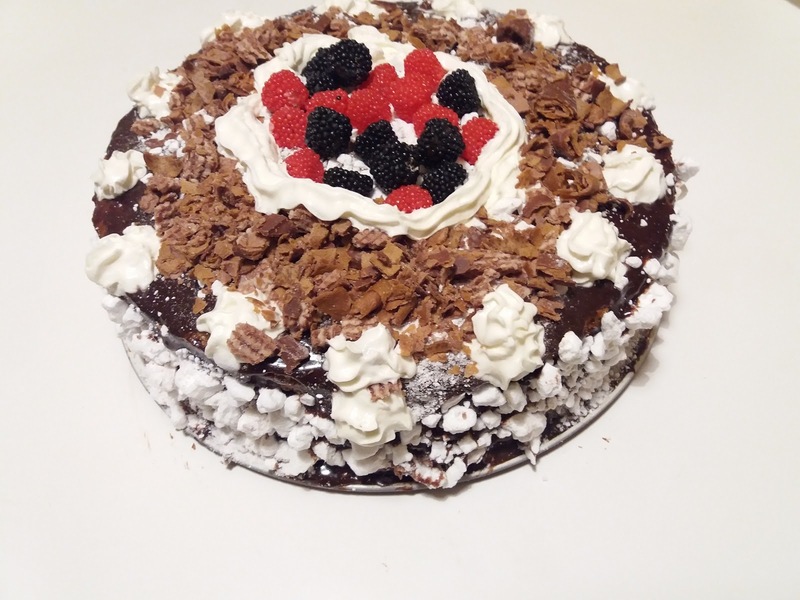 One of the few cakes I've ever made. This is a super special cake I made couple of years ago for my girlfriend. It turned out way too sweet since I used lots of products like 3 different kinds of chocolate, cream, Nutella, some fruits and much much more. At the end, it was a good looking cake which tasted fine. 6. Fried meatballs, homemade french fries, fried onion, breaded cheese. This is the most caloric thing I've ever eaten. In a combination with a cold beer it is just... amazing. 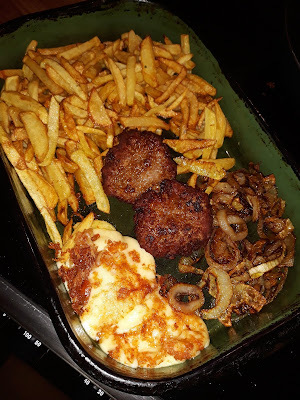 While sharing this info with you I noticed there are lots of potatoes in our meals. I will probably need to adjust this in my diets to come. I hope you find these delicious. Feel free to get back to me in the comments section in case you need the recipes or other cooking advice (no desserts please).